Built in the 17th and 18th centuries by fleet owners from Saint Malo, the Château du Bos is one of the largest “malouinières” houses. The Magons, a well-known family of navigators and merchants who lived in the area, erected it between 1715 and 1717. 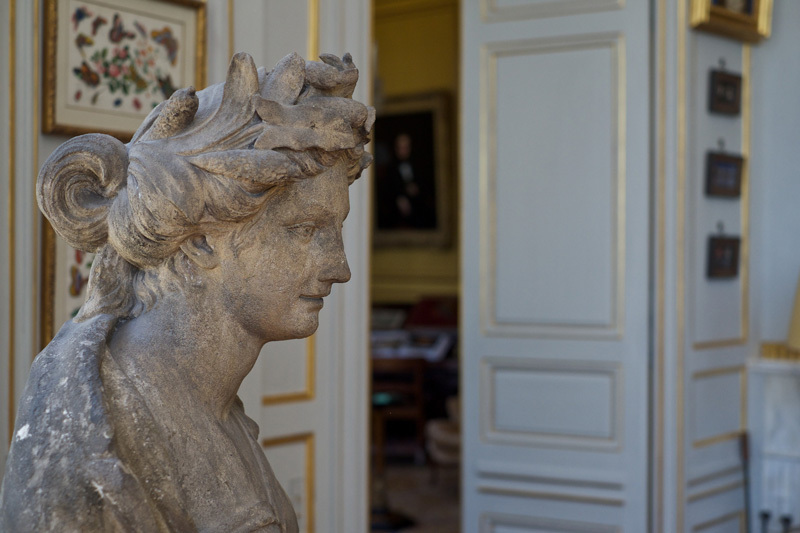 As of 2006, the château currently belongs to Mr. and Mrs. Henry Robet, who have fully restored it (as well as the surrounding outbuildings and park) with the support of the DRAC, the General and Regional Councils, and with the supervision of the Bâtiments de France. 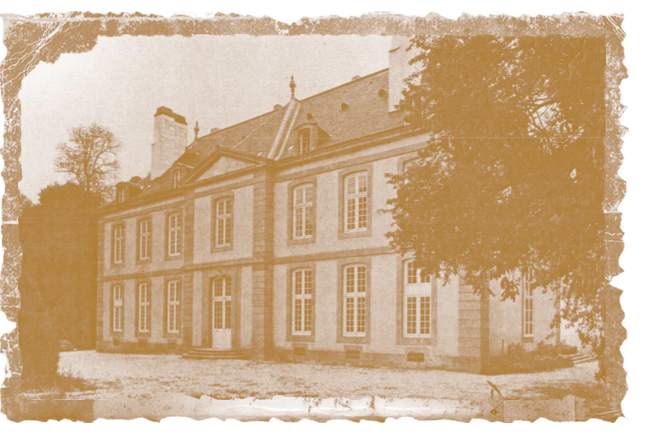 Before the château was built, there stood a 16th century manor with a combination of a small house and larger surrounding building. Because the manor had fallen into disrepair, its demolition was authorized under the condition that the main elements of the original were to be reused to create the new. You can still see touches of the old structure in the outbuildings today. 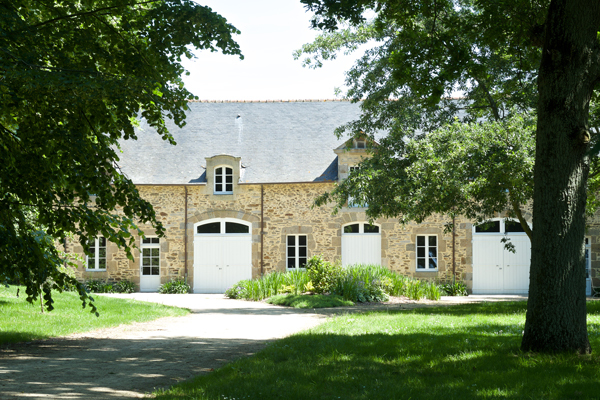 Le Bos represents, as does La Chipaudière, the typical architectural style of the area of Clos-Poulet during the 18th century. A wall designed in the typical style of the time surrounds the front entrance gate, which shows off the harmony of the Northeast front and the slightly protruding entrance of the structure. 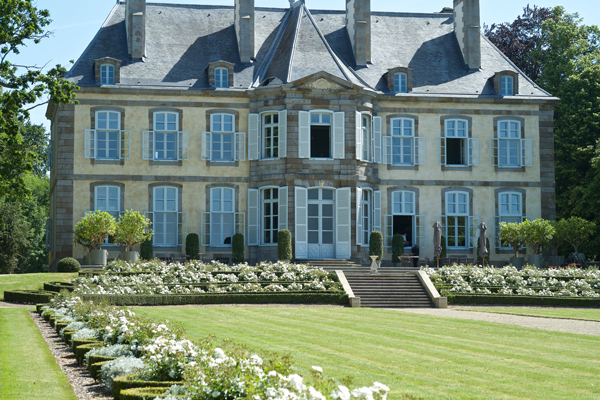 A triangular pediment crowns the protruding entrance façade where Le Fer de la Saudre family’s coat of arms once resided. These were destroyed during the revolution and recently restored during the important works carried out by Mr and Mrs Robet. The date of construction 1717, the year of the manor’s construction, is engraved on granite string; over the door, an engraved image of Mars’ head, the Roman God of War. The Southwest front had a central part in half-circle crowned by a triangular pediment representing Aeolus (God of Wind) and over the door there is Mercury (God of Commerce). These allegorical symbols, often used in the 18th century, evoke the many exploits of the Magon family; a family with numerous navigators, fleet owners, corsairs, and soldiers. 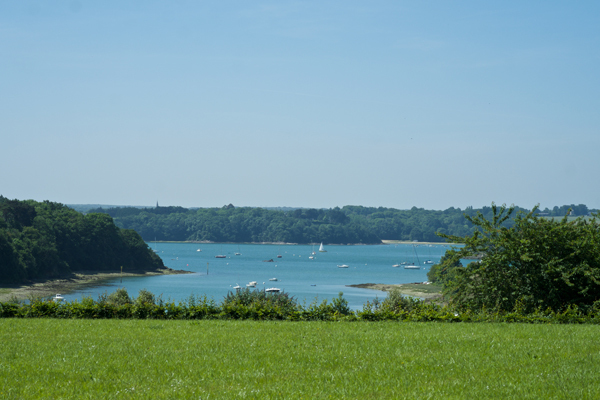 This central part is made of granite imported from the nearby island of Chausey. From its eighteen windows, you can admire the green park that extends towards the river Rance and where there are four sculptures representing the four seasons attributed to Coustou. 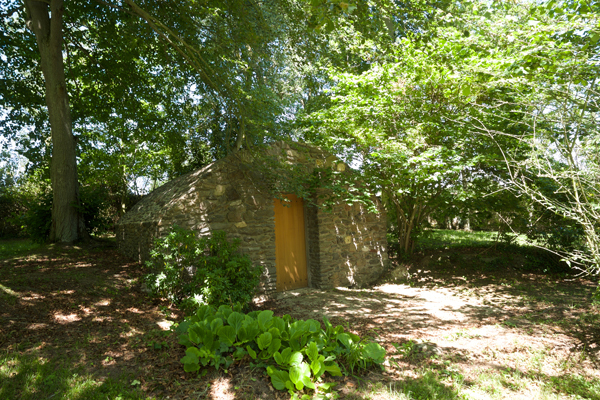 The outbuildings were built in 1718 and were devoted to the employees. On the Southwest front, the lintel of the window is sculpted with the date 1718 on a yellow granite stone, a part of the original old manor. Within the surrounding walls, the new chapel has replaced the old. Its rich Louis XV panels frame a picture of Saint Anne with the Virgin Mary and Saint Joachim. The artist was Mathurin Baziray, a regional painter and follower of Largillière (1656-1746). Its contemporary stained-glass windows are signed “Mauméjean,” dynasty of glass masters of 19th and 20th centuries. On the North front to the right of the entrance gate is a round building (picture) that was historically used as an ice room. It is the only one of its kind in the region. Inside, the lounge is designed in a remarkable oval shape typical of the period. The Château Champs-sur-Marne, whose plans were done by the architect Bullet de Chamblain, inspired it. He may also have been the designer of Château du Bos’s plans, but the plans are missing from the archives (as are those from the Chipaudière). Bullet de Chamblain worked for the French court at the time; he later moved to Sweden, where he worked for Swedish court. All archives of his work are there today. In the lounge, there are wooden panels with Louis XVI garlands and four large mirrors. They are crowned by delicate wood work symbolizing, at each side of the window-door, court music in the symbols of a head and a piece of music. There are also doves and olive branches, symbols of love and peace, and a war trophy. Below these there is a Carrare marble chimney with an unusual décor of goat heads and Medusa. The dining room has Regency panels, as in all the period houses in Saint Malo (most were destroyed during World War II). The décor is “à la Bérain,” sculpted in oak panels. The ceiling, restored in the18th century style, recalls a French garden pattern. The road in which the château is located evokes a dramatic effect. In the remote times of its construction, the river was only crossed by boat. Everyone used it, including smugglers and illegal migrants. The man in charge of the crossing, Mr. Carré, was very discreet when it came to the use of his boat. One evening, he heard some strange noises and saw two men transporting a bag that appeared to hide a body. He tried to personally intervene, without success, and so he went home. The next day, the first person that needed to cross the river could not find Mr. Carré so he went to fetch him at home. There, he discovered Mr. Carré, his wife, and six daughters with their throats slashed. Only one daughter escaped. These murders were never solved, thus giving the little beach its name.